American Cable & RiggingNewsUncategorizedChoosing Between Slings: Chain or Polyester? Choosing Between Slings: Chain or Polyester? Slings are one of the most important pieces of equipment for lifting, towing, and moving heavy objects. In industries like construction, slings are regulated to ensure safety is always a priority. Back in 1971, OSHA established fall protection regulations and other safety measures, like those for using slings, soon followed. Today, we have access to a wide variety of slings. So let’s take a look at a few key differences between two common types of slings. A chain sling is considered one of the most durable slings. These slings are extremely resistant to impact, crushing, and kinking, which makes them perfect for moving heavy objects. Additionally, they are resistant to UV and most chemicals. This makes them a great option for use outside where there could be harsh weather conditions. Another reason why so many people choose chain slings is that they can actually be constructed right on the job site, which makes them quite convenient. A chain sling can be adjusted to fit the needs of the job, can be easily repaired, and offers a long life. One of the biggest benefits of polyester slings is how lightweight they are. Some slings can be quite heavy, which makes them more difficult to use. But polyester slings can be easily moved about as needed. Despite their light weight, polyester slings are strong. Due to the webs they are woven with, these slings are extremely durable. They are also one of the most flexible types of slings, which allows them to be secured around objects of any shape or size. And lastly, polyester slings are water resistant. This is important for outdoor environments or area where spills are likely to happen — this also means they are resistant to mildew or mold, which increases their lifespan. All in all, both chain slings and polyester slings have several benefits to offer. It really comes down to what needs to be moved — the weight, shape, and environment of the object impact which sling should be used. But no matter the job, you can’t go wrong with choosing chain or polyester slings. 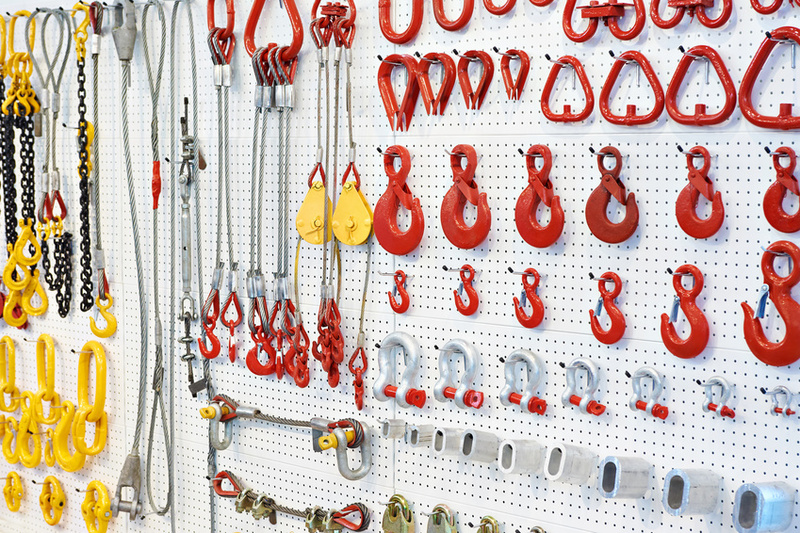 Are you looking for fall protection, slings, or cable and rigging supplies? If so, call American Cable and Rigging Supply today. Our rigging supply company can help with all of your rigging and cable needs. We carry both chain and polyester slings along with others as well. No matter your needs, we’re here to help.